We love when are clients are happy, so we are thrilled when we receive a lovely Thank You note like the one below. Thanks, Tamara! Glad your child’s LEGO birthday party was a success. 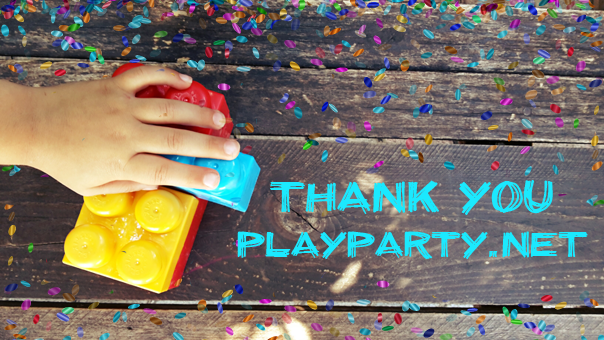 Everyone at Playparty.net strives to provide the most fun parties for your kids, and no-stress for the parents! I wanted to let you know that I had a Lego party on Saturday that went exceptionally well in spite of the rain. The two party hosts that represented your company were so wonderful. I was scrambling around trying to figure out where to put the tables so the kids could play out of the rain. Your party hosts were so nice, calm and so helpful and worked it all out for me!